Like the majority of society, you would probably like to believe the United States actually landed on the Moon on July 20th in 1969. The truth is far more disturbing. NASA&apos;s real job is to store data for the National Security Agency (NSA), and to finance Satellite and Military Industrial Complex corporate interests with hard earned U.S. Tax Dollars. They do this by pretending that their missions are important to humanity, while appealing to an overblown false sense of American Pride. Unfortunately, NASA&apos;s entire game plan is based on a series of carefully concocted lies that take food out of the mouths of impoverished men and women in America and around the World by stealing billions of dollars that could be used elsewhere to support mankinds&apos; most basic needs. Needs that informationdissemination.org considers Human Rights. If you take a look at nasa&apos;s budget overview for the most recent fiscal year, located at www.nasa.gov/news/budget/index.html you'll notice a black line at the very bottom of the PDF file indicating NASA&apos;s Budget Totals. At the time of this writing NASA has projected that they will waste over $18,724,300,000 every year. Luckily, the Space Shuttle Program has been eliminated. The truth is that the Space Shuttle has never technically been to Outer Space. 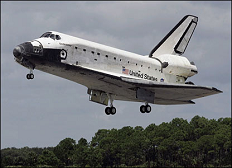 In fact, both the Space Shuttle and the International Space Station have never left the Earth's Upper Atmosphere. In these particular situations NASA has simply used the word Space to further their Public Relations Campaign, making Unwitting Tax Payers feel comfortable about wasting their money.